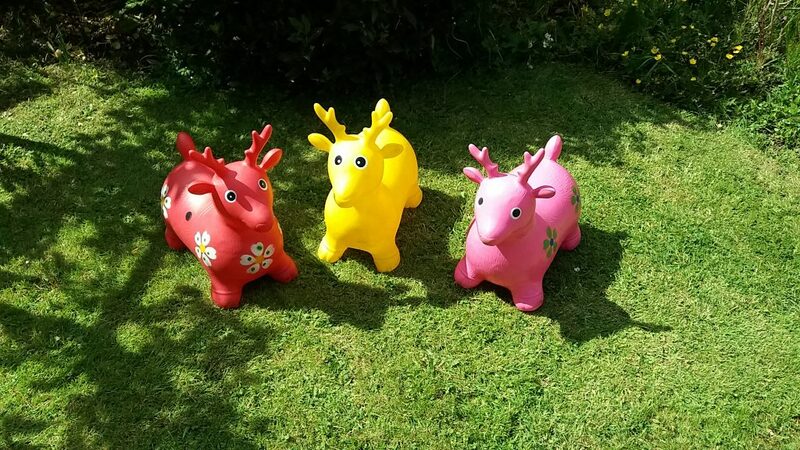 We have a selection of animal hoppers. 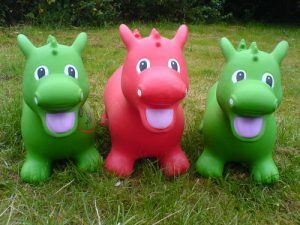 These are colourful inflated animals and are recommended for children aged 2 to 4 years. Each are hired in sets of three (colours will vary). 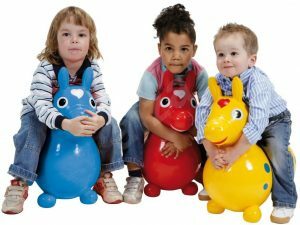 Rody is colourful inflatable bouncy horse that is soft and made of a super strong latex-free vinyl so it is safe for any child. Rody’s friends are Gyffy (giraffe) and Raffy (rabbit). Rody is also available with a rocking base. The dragons are in green and red. They are ideal as an added extra for Princess and Knights Parties. A great extra for festive parties. The reindeers are included as standard in the soft play selection during December. Colours will vary.